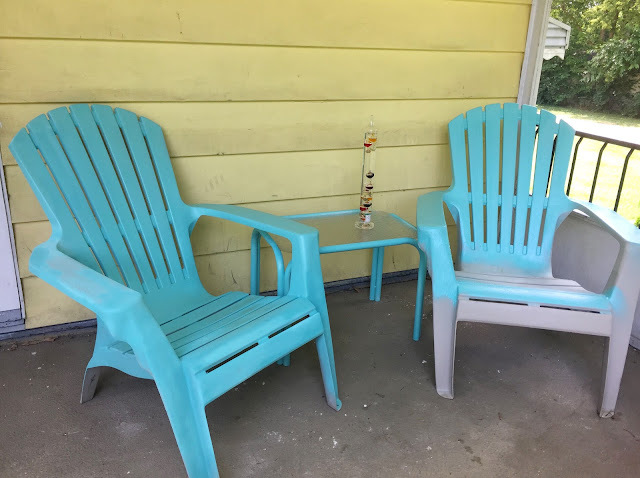 This was supposed to be a quick and easy DIY, but it ended up taking me close to nine months to complete. My parents snagged these for me from a neighbor that was moving. 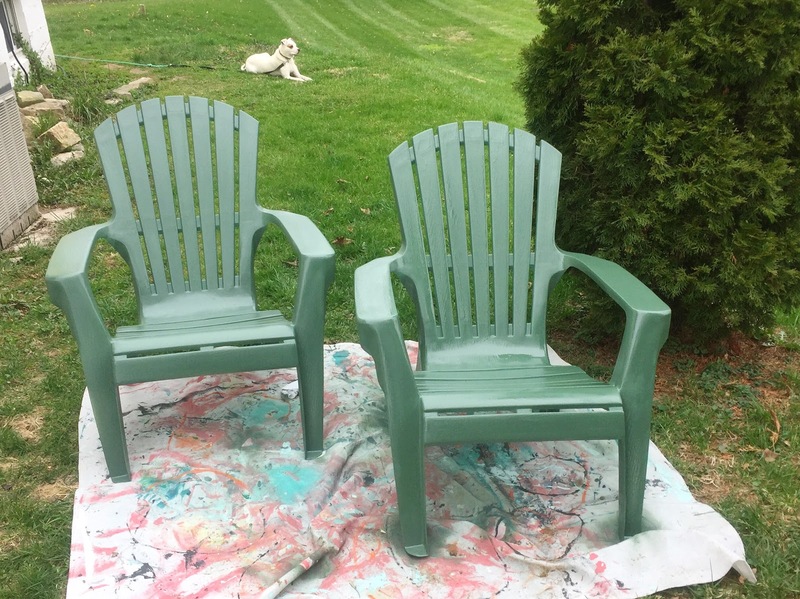 Beige is not my thing and I knew a quick layer of spray paint would bring new life to them. 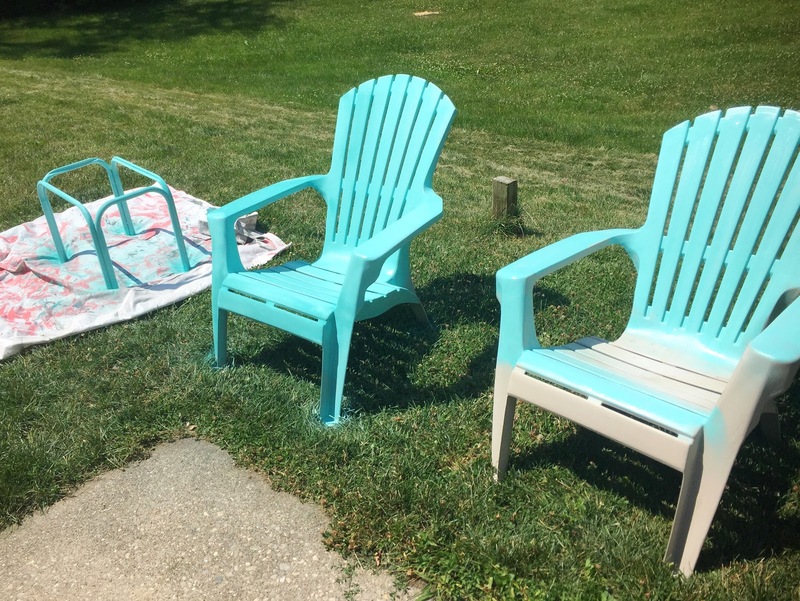 After cleaning the chairs, I started out with this blue spray paint... and I was not a fan. I used 4 whole cans (!!!) 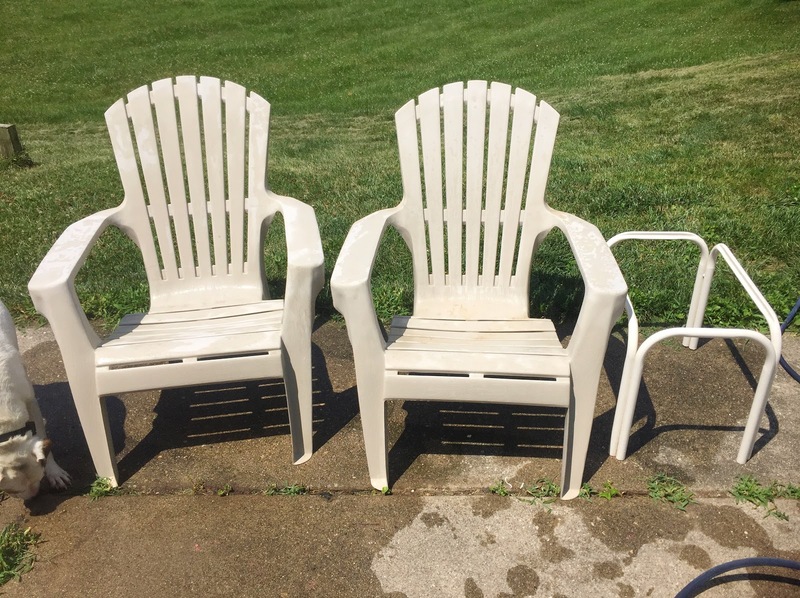 and barely covered these two chairs. 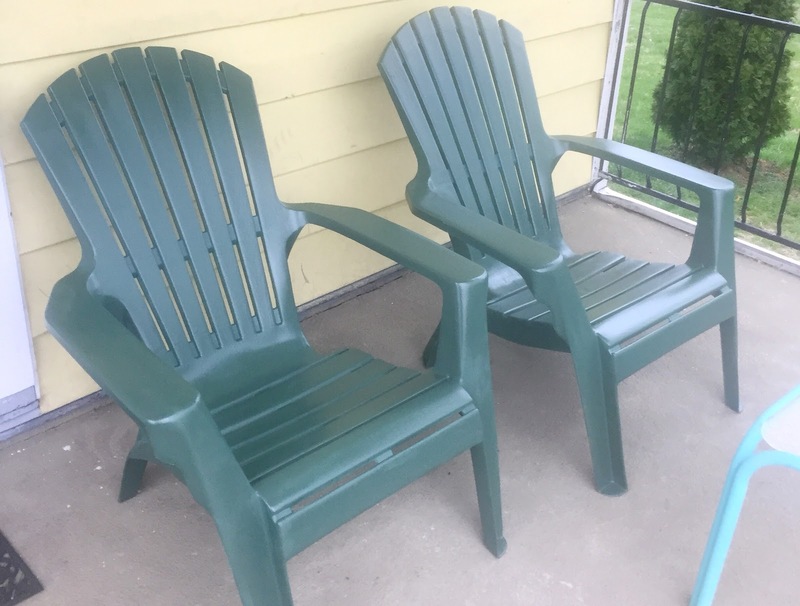 I put them on the porch anyways and figured I could finish them when I got a chance to go back to the store. You can even spot them in my last exterior update. After using the chairs for a bit, we'd find chalky residue from the chairs on our clothes and they were basically unusable. By the time I got back to taking care of the chairs, I decided I was over the blue color and I wanted to try out green in different spray paint. I used less than 3 cans and it took me about 15 minutes for both chairs. 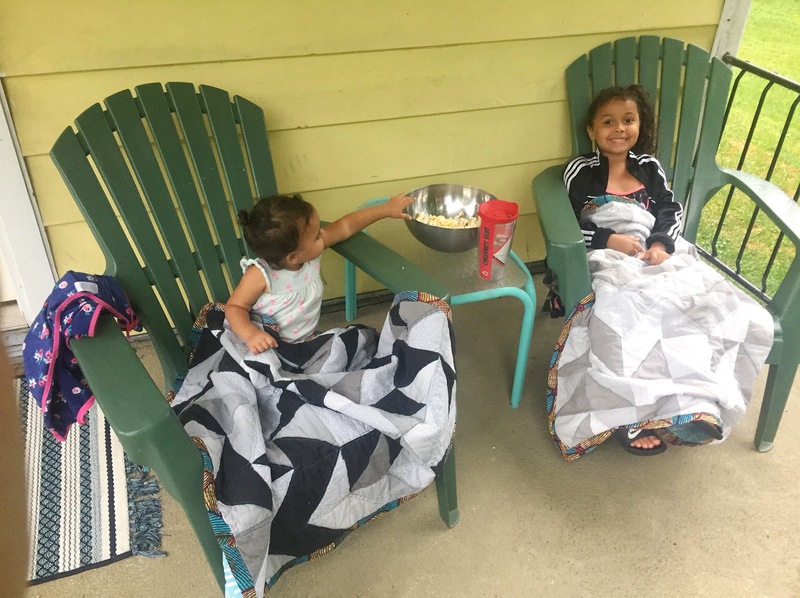 It isn't super fancy, but we have already found ourselves hanging out on the front porch way more often than we did before. We love having snacks on the porch as we people watch and I love how much a simple DIY can impact our day-to-day life.